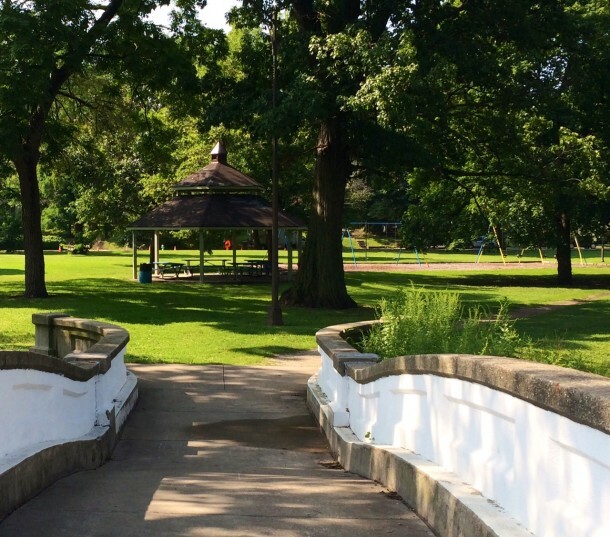 Just down the street from Brookside Park, you’ll find Spades Place Park. 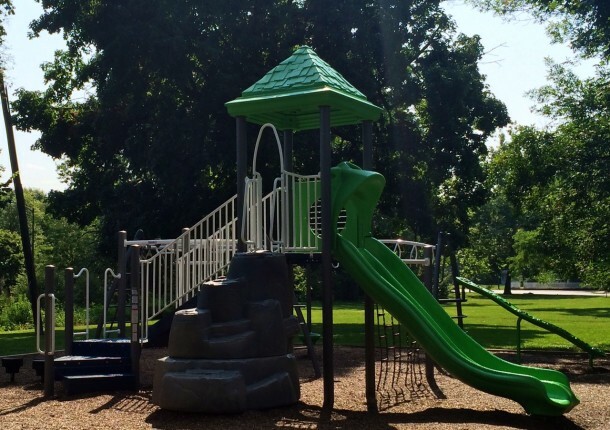 This thirty-one acre neighborhood park at 1800 Nowland Avenue is one of the Windsor Park neighborhood’s most picturesque features. But it’s not Spades Park’s amenities that attract visitors so much as its simplicity. Spades Park straddles Pogue’s Run, a tributary of the White River. If you’re a long-time reader of HI, you know that Spades Park was named after Michael H. Spades, who made his fortune in real estate. In 1898 he donated six acres of land straddling Pogue’s Run to the city and funded the construction of a shelter house and a bandstand on the property Two additional acres were added to the park in the following years. This photo from 1907 shows Dr. Stearn’s Norways Sanatorium, which was located across the street from Spades Park. Image: W.H. Bass Photo Co Collection, Indiana Historical Society. The same year Spades Park opened, Dr. Albert E. Stearn opened Norway’s, a sanatorium for persons with nervous and mental disorders just north of the park. 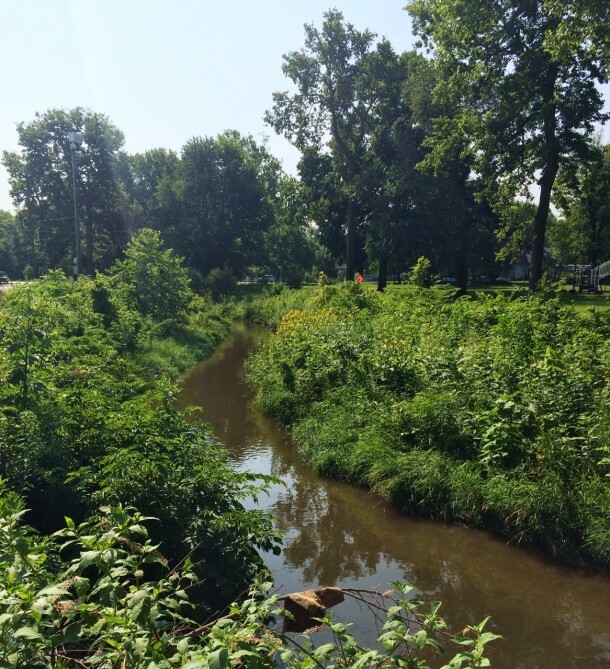 Patients used the park as a place to relax and rejuvenate from a variety of maladies. Perhaps Dr. Sterne recognized the restorative atmosphere the trees, wildflowers, and birdsongs provided when choosing a location for his hospital. 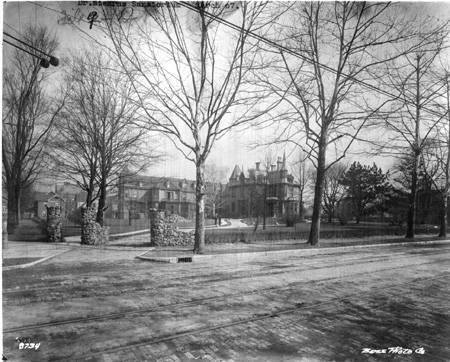 The park more than tripled in size in the early 1900s as part of George Edward Kessler’s Park and Boulevard System. 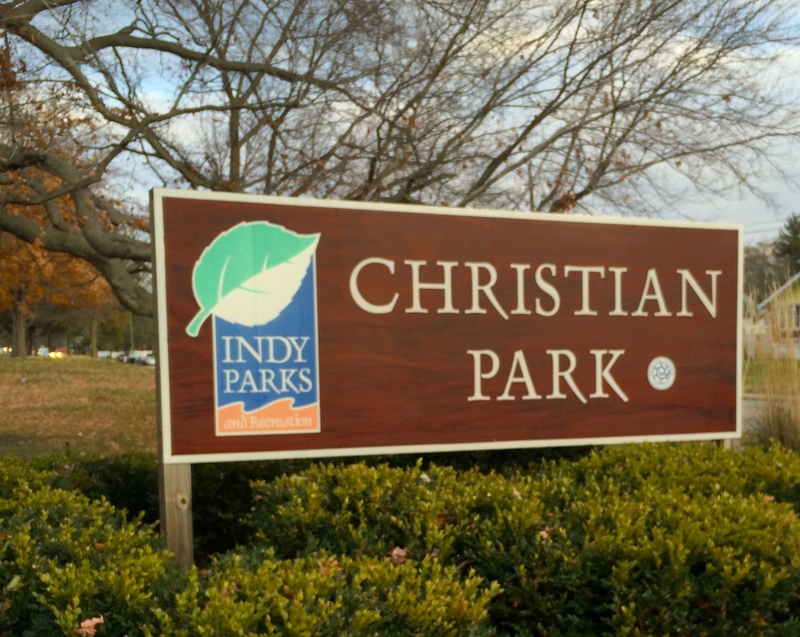 The original eight acres grew to thirty-one as the land between there and Brookside Park became incorporated into Spades Park. Kessler believed that part of the joy of a day in the park was the journey to and from. His plan called for Parkways connecting the city’s green spaces. Brookside Parkway winds around Brookside and Spades Place Parks’ north and south borders, providing park goers with a scenic route through the city’s Near Eastside. Inside the park, concrete bridges cross Pogue’s Run, allowing visitors to travel to both sides of the park with ease. The Pogue’s Run trail, a 2.3 mile pedestrian path, starts at Rural Street, wanders through Spades Park, and reaches its terminus at Brookside Park. It’s a perfect location for joggers and cyclists looking to trade city sidewalks for a more natural setting. When you’re out for a stroll in Spades Park, listen carefully for the sounds of wildlife. Spades Park is a designated Bird Sanctuary. 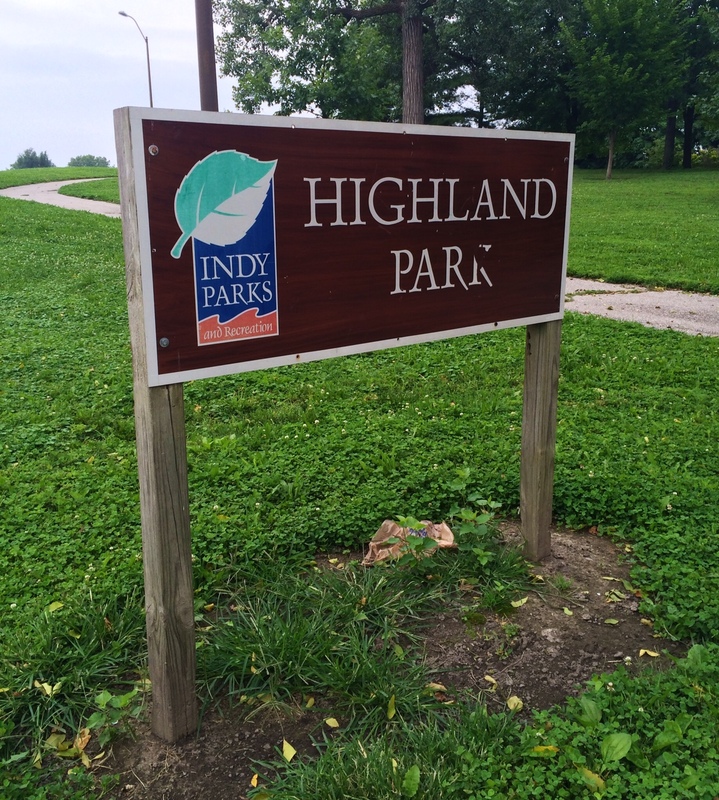 The park is maintained by the Indy Parks Land Stewardship Team to provide an optimal habitat for both local and migratory birds. Depending on the time of year, you might spy a Yellow Throated Warbler, Carolina wren, Chickadee, or red-tailed hawk amongst the trees. A two-acre area has been designated as a protected prairie which serves as a home for ground-dwelling animals like rabbits and chipmunks. 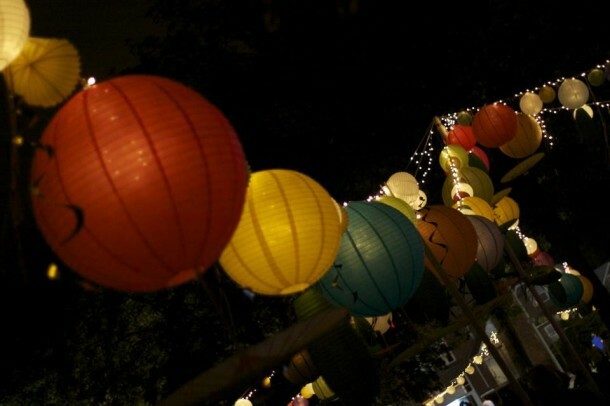 Each year in late summer, Spades Park hosts the Feast of Lanterns. 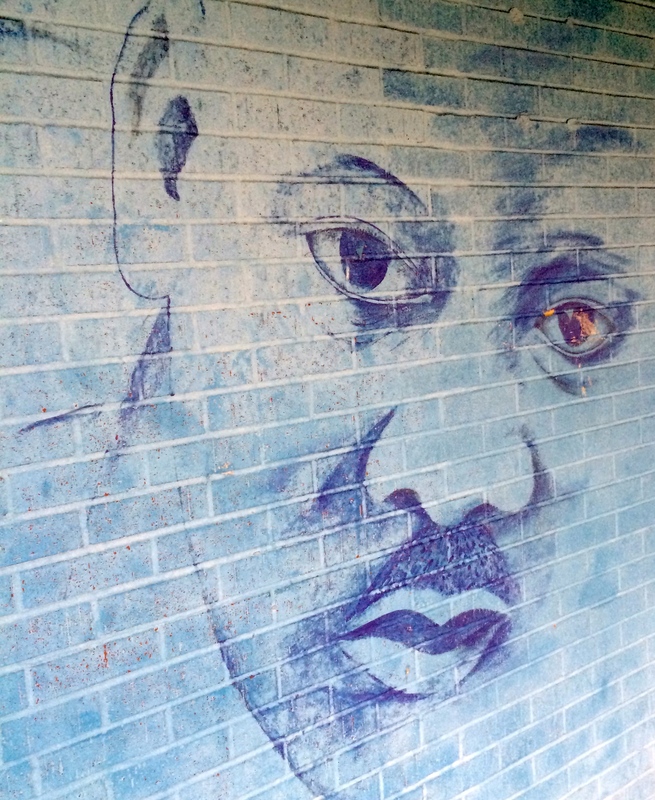 The event is hosted by the Near Eastside Community Organization. HI readers already know the history of this festival, which dates back to 1908. Visitors are invited to listen to live music, enjoy delicious food, and soak up the last of the season’s halcyon days. Though inclement weather cancelled this year’s celebration, NESCO volunteers are already planning the 2015 festival. While wandering through Spades Park, note its modesty. Even the playground equipment is a subtle green and tan color scheme that blends in with the surrounding trees. Though the park is just a few blocks from downtown, it feels far-removed from the rest of the city. 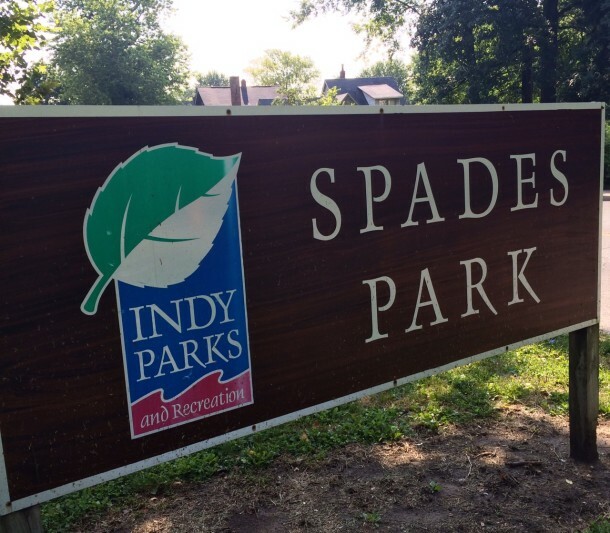 Spades Park may appear to be an untouched landscape, but in truth, Indianapolis residents enjoy the beauty of these grounds thanks to careful urban planning and the help local volunteers. Want more details on how Spades Park got its name? Take a gander here.